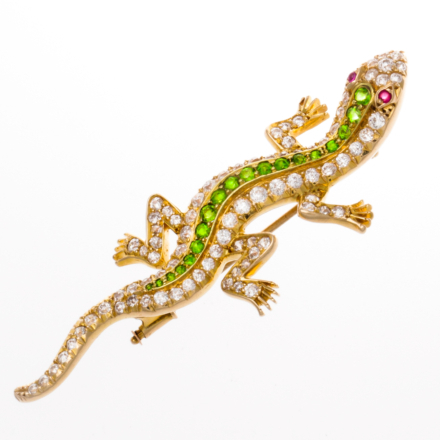 18k Demantoid Garnet Salamander With Old Mine Cut Diamonds Approximatley 4.50 Carats. Circa 1900’s. Lenght Approximately 2 3/4 inches.